It is a pleasure to interview you today and share your interview in the IWA magazine. I have looked forward to doing this interview so let’s get started. Q. Please tell the readers about yourself. I’m 33, a revert to Islam (since 2002), married with three children, Alhamdulillah. I’ve been teaching since 2001, generally in primary schools but also teaching English to adults. Q. When did you first know that you wanted to be a writer? When I was about eight. My brother had a toy owl named Archimedes. He used to build cars for him; I would compose rhymes about his unlikely adventures. They were well received and I had a feeling then that writing was something I was good at, so I always hoped I might get the chance to go somewhere with it. Q. Are you writing any books at present or working on any special projects? 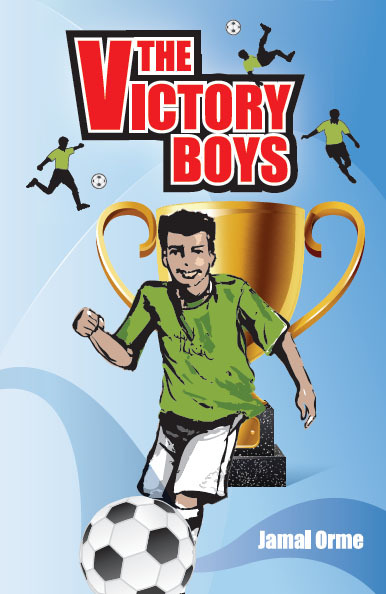 My book, ‘The Victory Boys’ has been recently published by Kube/Islamic Foundation in the UK. Its sequel is already written (that may equate to a first draft from an alternative perspective) and I hope that one day it might see the light of day, Insha Allah! Q. Who were/are some of the people that have influenced you and your writing? My parents always made it clear that they thought I was a good writer. My mum in particular has always taken my writing seriously. She read my book last week and her analysis of it was spot on, I thought. In terms of writers, I grew up enjoying the works of Roald Dahl, Dr. Seuss and any football books I could lay my hands on. Whenever I’ve turned my hand to poetry I think the first two influences have been apparent in my writing, although I don’t claim to be operating at their level! Q. What are some of your thoughts on why we need to read and how does Islamic fiction fulfill that need? Once upon a time there was a means of communication that did not consist solely of manipulative buzzwords, atmospheric music, sensationalism, stunts and the like. Those who sought to communicate had to possess the ability to string together a coherent sentence, and if what they produced was either logically flawed or tedious, the discerning reader could dismiss it. And now, we have wave upon (electromagnetic) wave of mind-numbing television. Arguably both books and TV have the potential to be harmful in excess, and harmless in moderation. If you do tune in to either, it is beneficial if your way of life is validated by what you absorb. Islamic fiction, which need not be ‘preachy’ in the slightest, allows us to be God conscious even when indulging/feeding our imaginations. Q. What do you think parents, educators and leaders in Muslim communities can do to support Muslim authors? What should be the aim of supporting Muslim authors? Presumably, it should relate to the twin aims of remembrance of God and development of knowledge (i.e. through literacy, love of the written word). Personally I don’t think Muslim authors should have an assumed right to promotional support. A book is only worth supporting if it is any good. A non-Muslim would distinguish between books worth sharing and those worth leaving on the shelf – why should we (as adults or children) be any different? Isn’t it an Islamic principle to attain to excellence? I think the best, most just support to give Muslim authors is to communicate high expectations of the standards they should be able to achieve, and then to give fair but honest (critical) reception of whatever they produce. Our child readers should be encouraged to do exactly the same! Q. What are some of the challenges authors of Islamic fiction and non-fiction encounter in getting published? The main challenge that springs to mind, assuming that the work is of sufficient quality, is that it appears some publishers are not keen to publish Islamic fiction, for whatever reason. From my limited experience, I am aware of some quality Muslim writers/illustrators who have self-published – then the primary challenge becomes obtaining a good level of publicity. Q. What are some of the stories/themes you would like to see authors writing about? I wrote The Victory Boys because I felt there was a dearth of fiction for older children, particularly boys. If we can’t offer them anything worth reading, they will look elsewhere. So I feel that issues that they would find relevant are the key. I don’t agree with confronting every issue in the way some mainstream authors do (and are then portrayed heroically for having done so) but I like the idea of presenting certain issues – including peer pressure, rites of passage etc. – and subtly guiding the reader to the Islamic reality in a way that ideally demonstrates its beauty and superiority. Q. What do you think about ebook publishing trend and are you considering getting your work published in ebook format? Personally, I’m not drawn to ebooks. I spend too much time staring at a screen to want to read a book through one. For me books are something to enjoy away from screens; there’s something romantic and (relatively) timeless about reading from a book. Q. What advice can you give to young people who wish to become a writer? Read voraciously and critically; always be on the lookout for interesting ideas, whether they’d be central to a plot or just a minor feature of a story, and without there necessarily being any need to do anything with those ideas at that moment in time. A good idea is always worth keeping up ones sleeve. Q. How did you learn about the IWA organization and what prompted you to decide to become a member? I learned of the IWA through the website of an existing member, the excellent Ummah Reads! 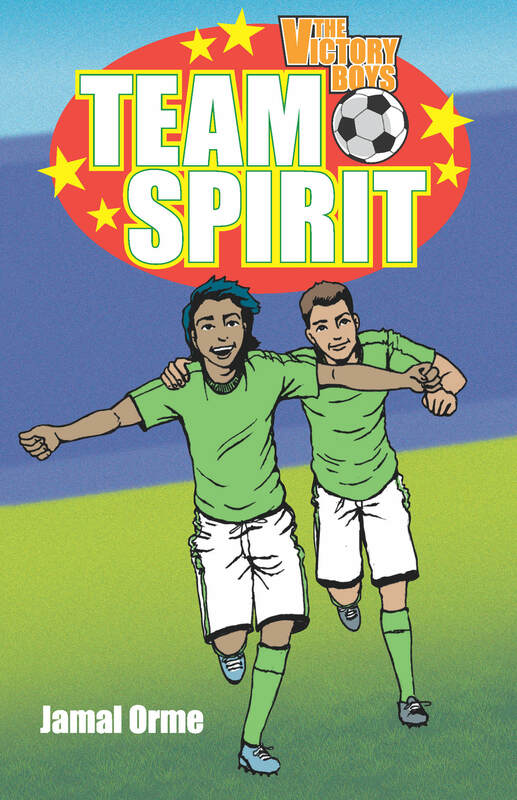 (muslimkidsbooks.wordpress.com) I joined because I felt that the IWA were doing good works, and presented the opportunity to be in touch with other brothers and sisters who were trying to do positive things in the world of writing… simple as that, really.